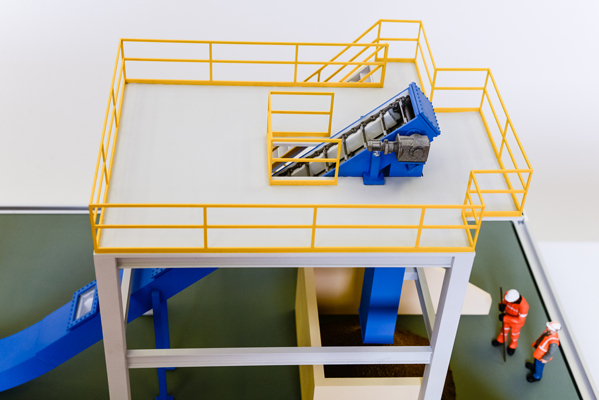 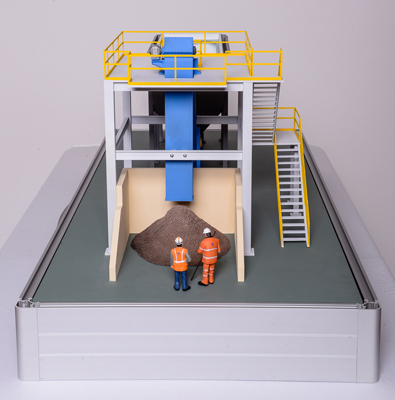 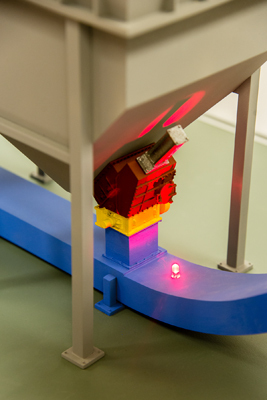 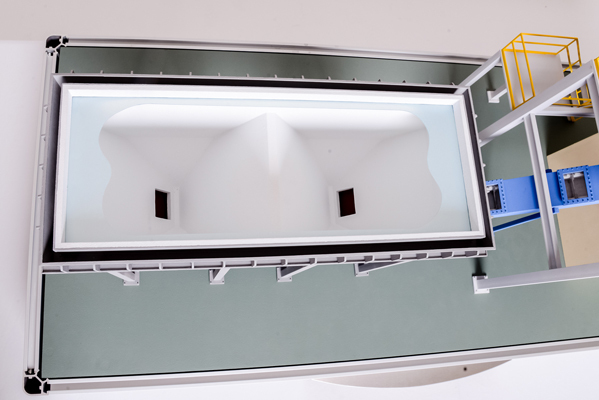 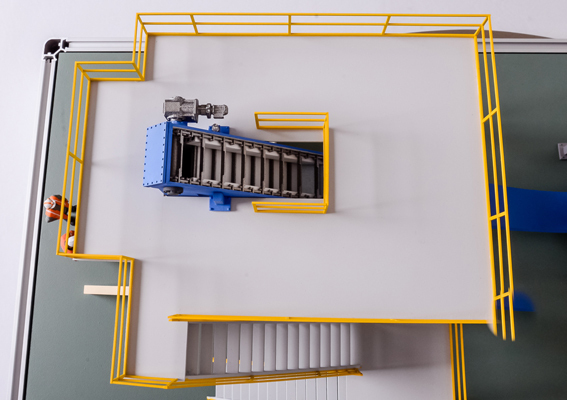 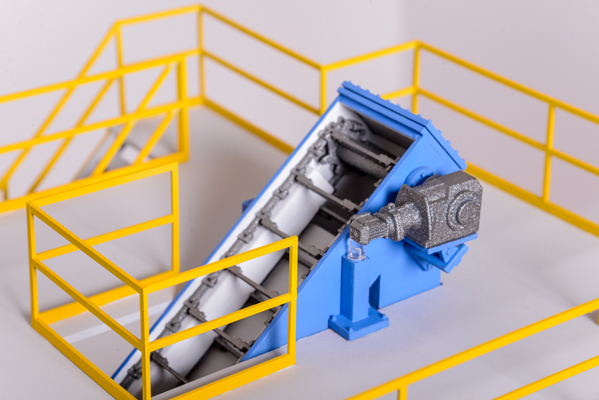 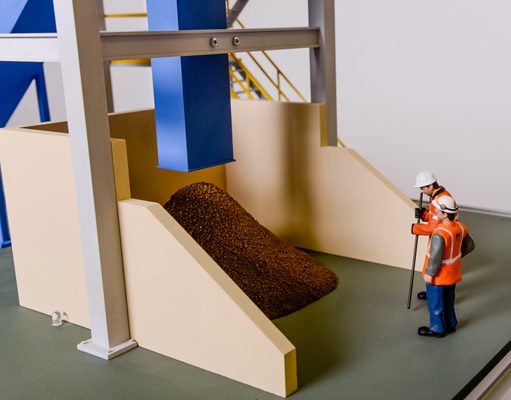 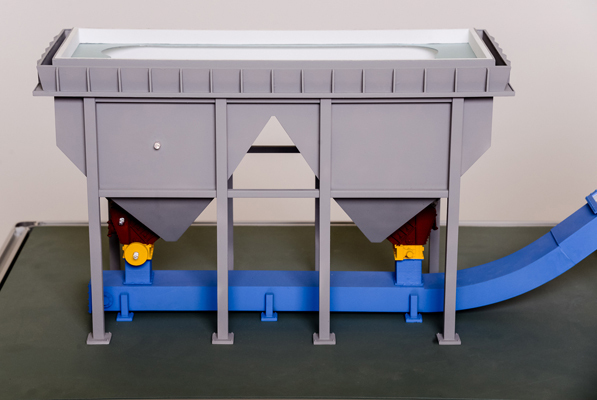 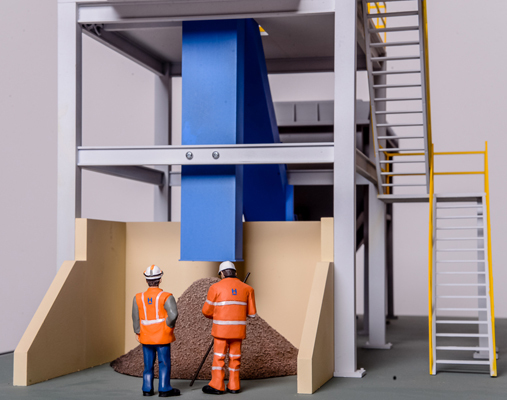 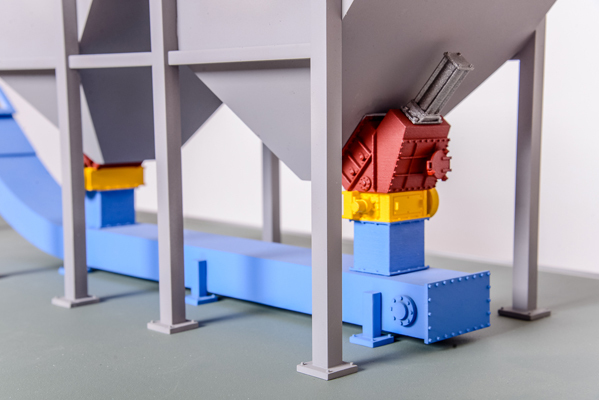 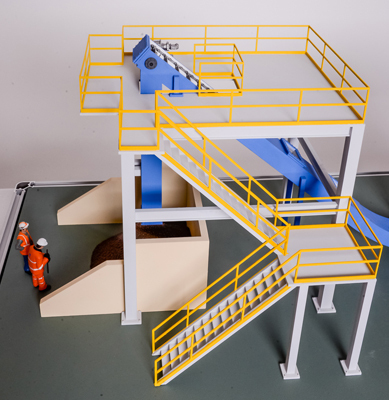 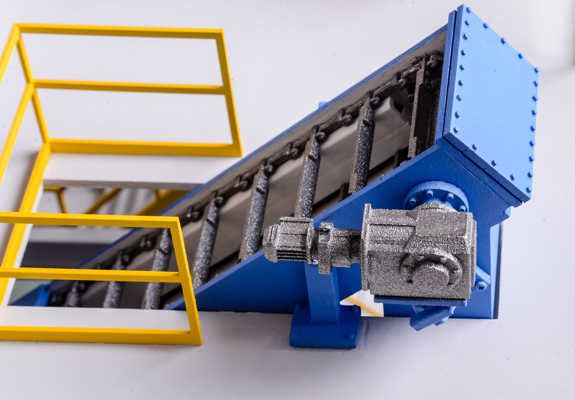 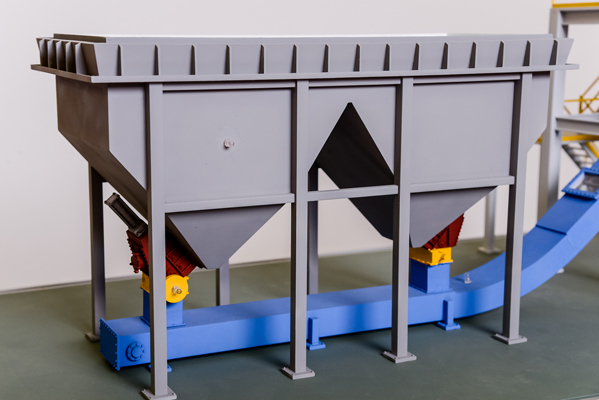 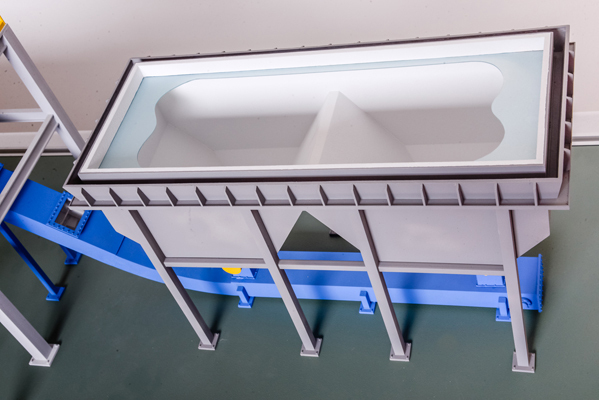 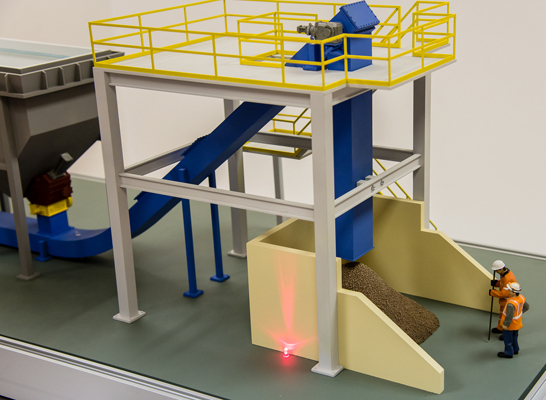 This is an industrial architectural model of a Submerged Ash Removal Conveyor. 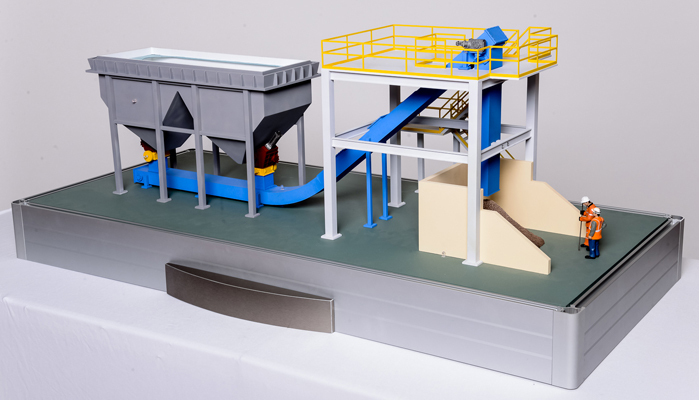 The model is built in 1:22 scale and meant for trade show and presentations. 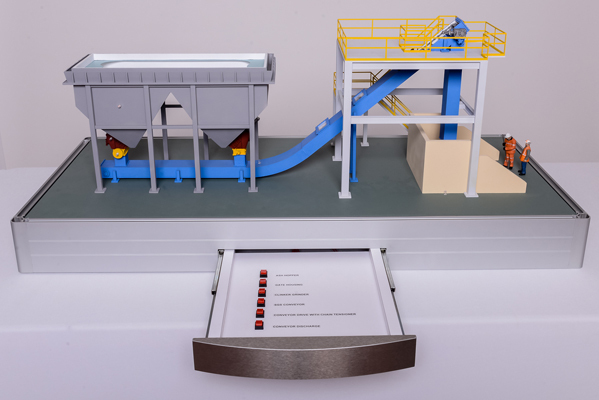 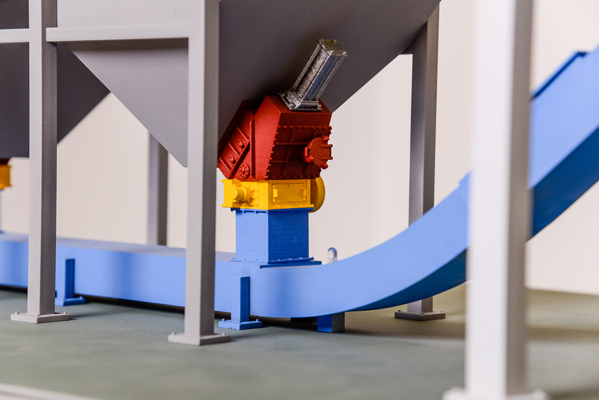 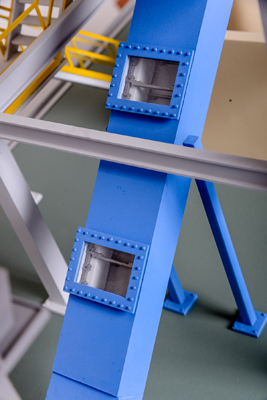 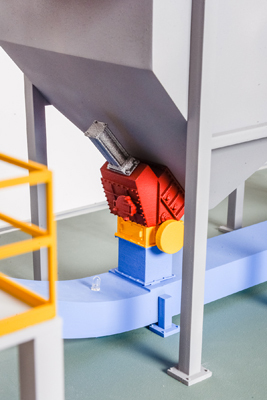 The model is featuring several cut- aways in showing partial interior and mechanics of the conveyor. 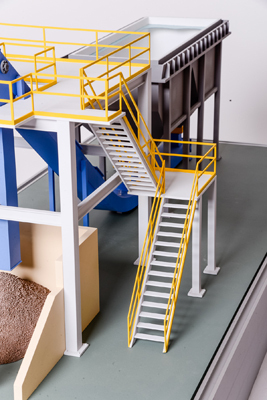 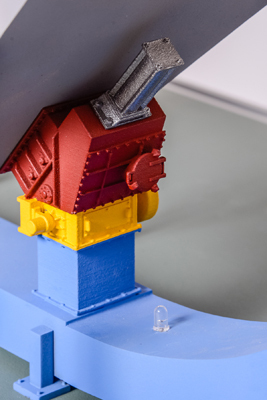 The models was developed in 3D software and built using rapid prototyping and manual fabrication. 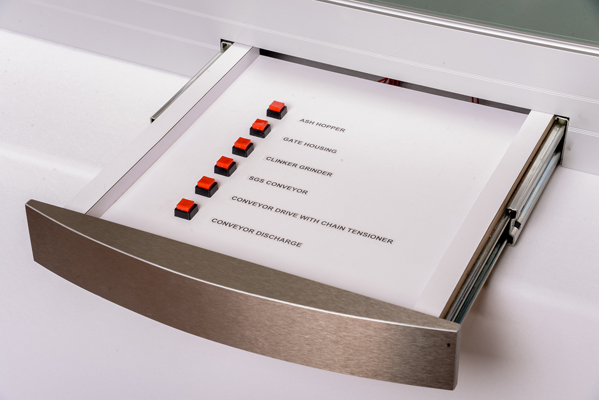 It is equipped with LED based, button activated interactive system, which highlights the main points and areas of interest. 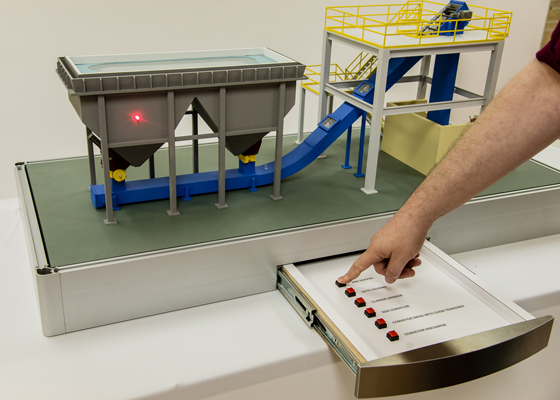 The model received the most positive feedbacks and recognition for its accuracy and educational value.